Georgia Southern QB Kevin Ellison looks whether to hand the ball off to FB Irving Huggins or keep it himself in their triple option attack. 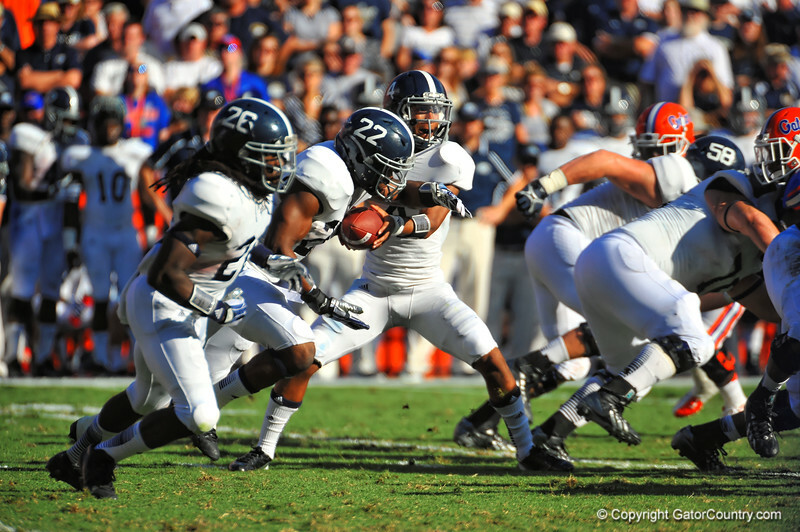 Florida Gators vs Georgia Southern Eagles. Gainesville, FL. November 23, 2013.